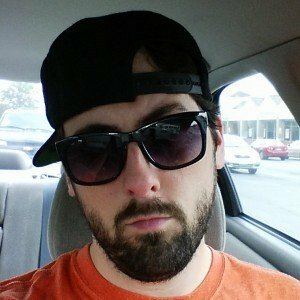 Rejoice, friends! The long metamorphosis of the former Provo Tabernacle is nearly complete, and the Provo City Center Temple will leave its chrysalis in March 2016. SALT LAKE CITY —The First Presidency of The Church of Jesus Christ of Latter-day Saints has announced that the open house of the Provo City Center Temple will begin in January 2016. The free public open house starts on Friday, January 15, and will go through Saturday, March 5, 2016. It will run every day except for the Sundays of January 17, 24 and 31 and February 7, 14, 21 and 28. 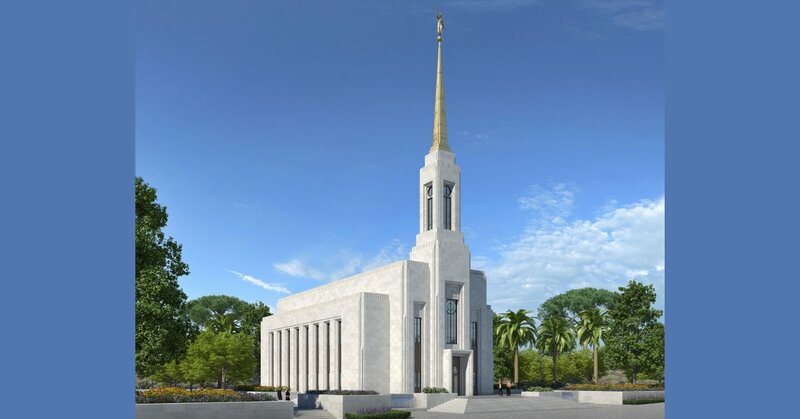 The temple will be dedicated in three sessions on Sunday, March 20, 2016, with the cultural celebration taking place on Saturday, March 19. The dedicatory sessions will be held at 9:00 a.m., 12:00 p.m. and 3:00 p.m. and will be broadcast to Utah meetinghouses. The three-hour block of meetings will be cancelled for that Sunday. 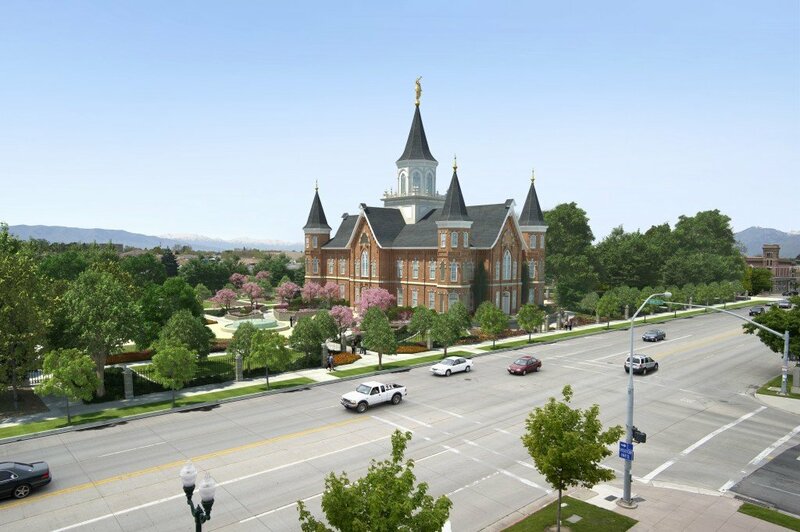 Church President Thomas S. Monson announced the second Provo temple in October 2011, and ground was broken to begin construction May 12, 2012. The temple is located on University Avenue between Center Street and 100 South. The Church’s 112-year-old Provo Tabernacle burned in December 2010 and only the shell of the building was left. After the burned-out structure was gutted, Mormon leaders decided to use the building’s exterior to house the temple. 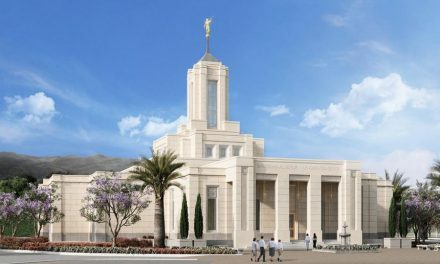 This will make Provo only the second city in the Church to have two temples. 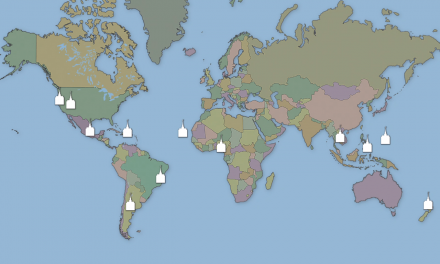 (The other is South Jordan, with the Jordan River and Oquirrh Mountain Temples.) 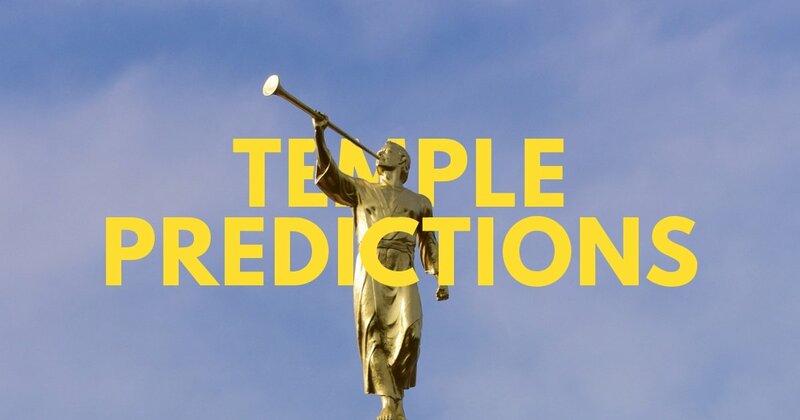 We’d normally say that it’s unlikely we’ll see a two-temple-per-municipality situation like this again, but we said just that about South Jordan only a few short years ago. Go figure. We’re not prophets. What remains to be see is whether the Nu Skin buildings will magically disappear, per the artist’s rendering.